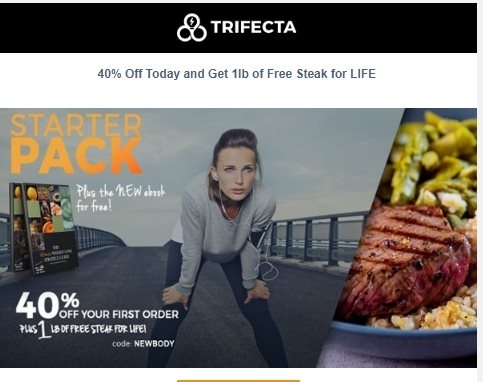 Allen Miller 40% Off Your First Shipping + 1lb of Premium Grass Fed Steak at Trifecta Nutrition. Use promotional code NEWBODY. Limited time offer.